When two University of Texas undergrads started delivering fresh-baked cookies to classmates to earn spring break spending money, they didn’t imagine that 17 years later they would have churned out more than 50 million cookies, employed more than 350 people, donated $85,000 to charity, or raised $14 million in funding for a national expansion. 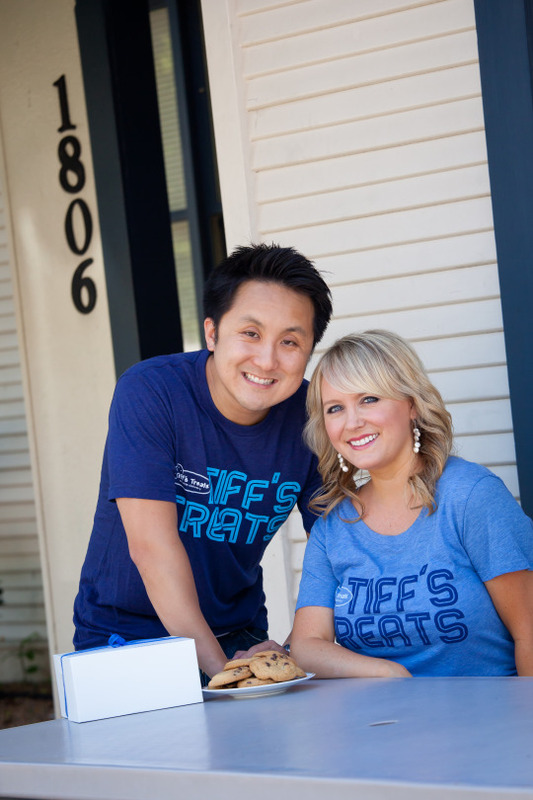 Tiff’s Treats, which Tiffany Taylor and Leon Chen started in his Austin apartment in 1999, now operates more than 20 stores across the Lone Star state and is cooking up plans to open its first out-of-state store by the middle of this year. The two say they plan to open 8 new stores by the end of 2016. Along the way, the co-founders got married and had two children. Many of their first delivery driver hires are now company executives, including Kullen Kifer, CFO. And they not only survived, but thrived, during the recession. Cuts in corporate gifting budgets led many businesses to their door, and gooey chocolate chips proved to be a recession-proof indulgence. Plus, Chen says, they were able to get an investor, sign several leases at great rates, and hire quality employees in 2008. “Now employees are hard to come by and leases are off the charts. There are definite benefits of a recession,” he says. 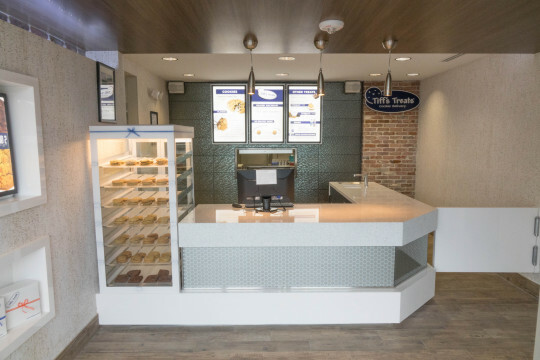 Taylor and Chen never strayed from their original mission to provide baked-to-order cookies and brownies from premium ingredients that they deliver, like pizza, while still oven-warm. They say theirs is the first warm-cookie-delivery business in the country to succeed. The couple recalls the physical and mental exhaustion of those startup years. “Leon would wake up in the middle of the night worried because we didn’t know how we were going to make payroll and there was no end in sight as to when we would stop the bleeding,” says Taylor. Oh, and that spring break spending money that they started the business to earn? “We ended up plowing every penny we earned back into the business,” Taylor says. Still, they agree, the payoff has been very sweet.